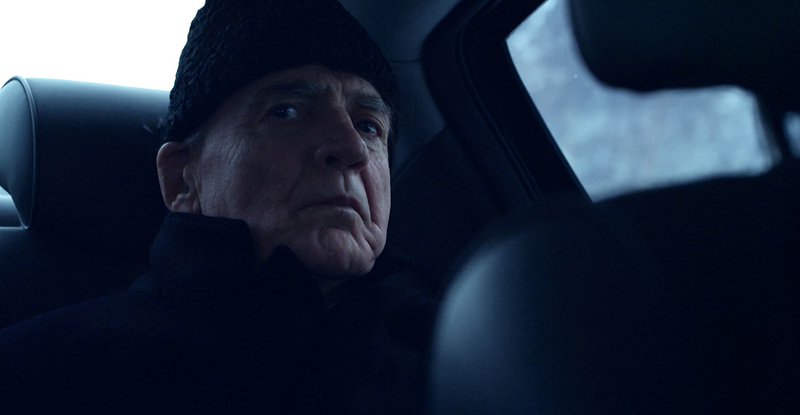 This article is a review of IN ORDER OF DISAPPEARANCE. Jet-black humoured revenge gems don’t come along often enough. Ranging from the blurt-out-laughing, to incidents of wince-inducing violence, IN ORDER OF DISAPPEARANCE walks a beguiling tightrope. 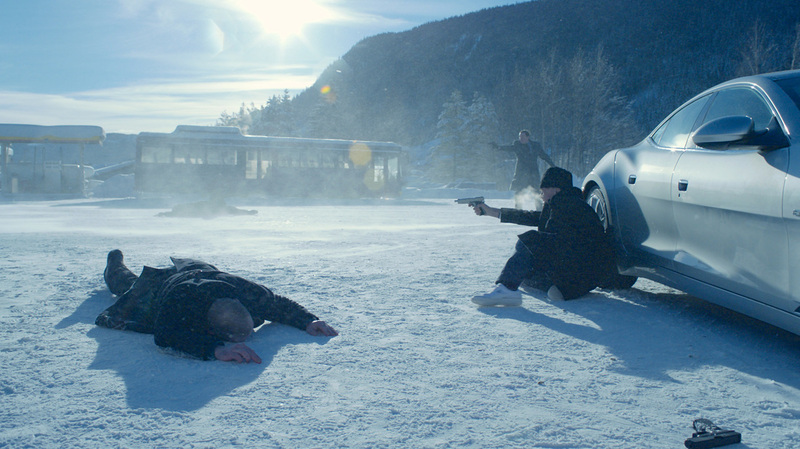 Achingly, slickly shot across a wintry, snowy Norwegian landscape, the film might be classified as a fairy tale; the moral: Do not murder someone’s offspring for something he didn’t do. Devoid of any quarter given over to mawkishness, there are of course consequences. Over the last decade or so, the vengeance subgenre has focused on the perils/futility of claiming a right to an eye-for-an-eye - OLDBOY, IRREVERSIBLE, THE DARK KNIGHT, KILL BILL and I SAW THE DEVIL have warning claxons blaring loudly. 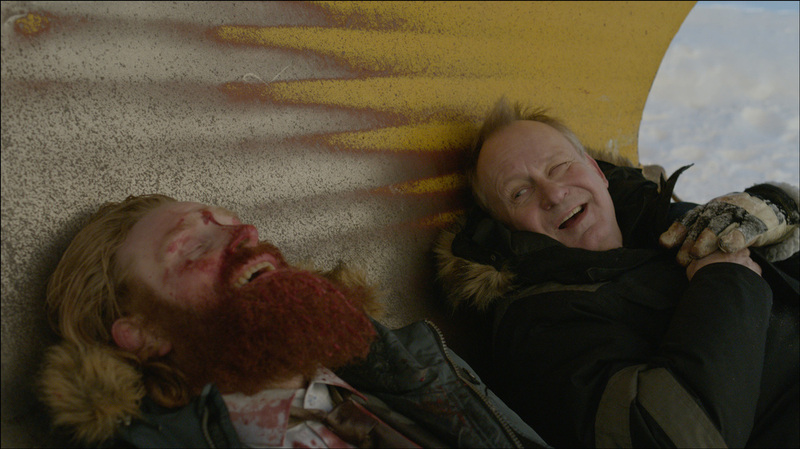 IN ORDER OF DISAPPEARANCE does not shirk from the emptiness of retribution; however, it is also, and dominantly, amorally retro in its unashamed gleeful joy in portraying the potential for catharsis (at least for an audience baying for blood). Unfolding in a parallel universe of bonkers criminals, permits us to revel in the ensuing carnage. Swedish immigrant Nils has a snowplough business clearing the country roads. Winning “citizen of the year” cements his contentment, and standing in the community. At the same time, not yet known to Nils, his son, Ingvar, has been forcibly taken from his airport job at gunpoint. Drug dealers believe Ingvar has stolen product from them, and executes him via forced overdose, leaving him at a public transport terminal. A message to the underworld, but one confounding his parents, whose grief is amplified exponentially due to thinking their child had a narcotics habit that they were unaware of. “We didn’t know our own son,” wife Gudrun (Hildegun Riise) exclaims, and leaves Nils. Family sundered, Nils’ face is a frozen mask until we witness him about to take his own life. So far so bleak. Halted as trigger is on the verge of being engaged, Nils discovers Ingvar’s friend (Tobias Santelmann – upcoming HERCULES) hiding in his garage, where Ingvar’s innocence on all counts is revealed. Channelling pain into rage, our hero begins at the bottom of the local mini-drug cartel and commences his rampage of revenge. Methodically extracting the next name up the chain of command, Nils cuts a swathe. Criminals fold easily under his surprisingly mighty blows – the brutal sound effects are bone crunching, reminiscent of Indiana Jones’s punch deliveries in RAIDERS OF THE LOST ARK. Each time a character dies, no matter how minor a player, the screen cuts to black with their name in titles and a symbol marking out their religious denomination. These titles begin infrequently, and quickly become regular occurrences. If not for their uncompromising retirements from this earth, there would be something almost AUSTIN POWERES-esque in highlighting henchmen deaths. Arguments may be made against the sometimes-dubious treatment of women in the film, especially the way vegan drug lord (and “bakery magnet”) “The Count” (Pål Sverre Hagen – KON-TIKI) interacts with his ex-wife (Birgitte Hjort Sørensen). Though, counter to any whiff of misogyny is the sheer stupidity displayed by men. Criminal monikers like “Strike” (Kristofer Hivju – GAME OF THRONES), “Papa” (Bruno Ganz – DOWNFALL) and “Wingman” (Peter Andersson – THE GIRL WITH THE DRAGON TATTOO), illustrate the Darwinian whittling away of the less valuable members of society. If not for the highly personal vendetta driving the plot about fathers and sons, IN ORDER OF DISAPPEARANCE might be viewed as the Norwegian YOJIMBO. Wait till you get a load of a multi-tonne snowplough being used as a weapon.